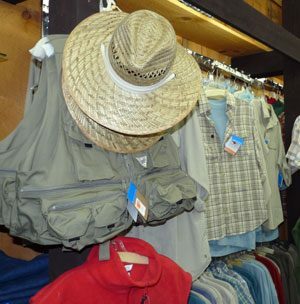 Whether you’re an avid outdoorsman or woman living in the Adirondacks, or someone who loves to get away from it all by hiking, fishing or canoeing, the Speculator Department Store has just what you need. Our seasonal outdoor market showcases sporting goods and supplies so you can make the most of your outdoor adventure fun. Walk through an eclectic assortment of outdoor & water toys, fishing tackle & supplies, water shoes, floats, camping supplies, hats, flashlights, and more. For quality sportswear year-round, visit the clothing section in the Speculator Department Store, and we’ll be happy to assist you.